Virginia’s Fairfax County Sheriff’s Office now prohibits the use of Tasers at its jail after a mentally ill inmate died after being shocked four times while being prepared for medical transport, WUSA 9 reports. 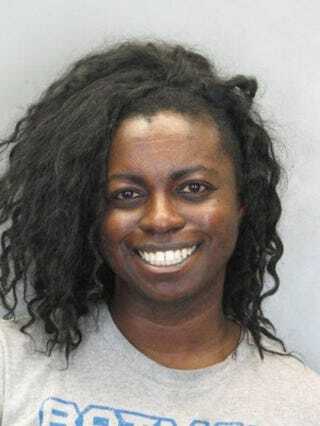 Natasha McKenna, 37, was shocked several times while she was restrained and stopped breathing, according to WUSA. In December of 2013, when Sheriff Stacey Kincaid first took office, she pledged to review all policies and procedures regarding the operations of the Sheriff’s Office. She has kept that promise, and a steady and comprehensive review and implementation of updates has been underway. When an unusual event occurs, it is standard practice to review specific policy and procedures in reference to that event. Due to the recent incident, we are focused on the Taser policy and, as you are now aware, have temporarily suspended the use of this device in the ADC pending completion of our review. At that point, the news station reported, six officers from the Sheriff’s Emergency Response Team arrived in full biohazard gear, complete with gas masks, to force the inmate to comply. McKenna’s hands were cuffed behind her back and her feet were shackled and her face covered so that she wouldn’t bite or spit. When she refused to bend her knees to sit in a restraint chair, a lieutenant used the Taser, according to the news station. According to WUSA 9, McKenna’s heart stopped and she later died at a hospital. McKenna had been diagnosed with schizophrenia at the age of 12. The news station notes that she was arrested in February under an outstanding warrant on charges of assaulting a police officer in Alexandria, Va. Fairfax County Sheriff Stacey Kincaid said that because Alexandria was where the warrant was issued, McKenna needed to be transported there, and the Sheriff’s Office decided to transfer the woman because Alexandria police refused to come for her. Kincaid had said that because it was not a physical medical problem, it was not possible to take McKenna to the hospital, according to WUSA 9. Read more at WUSA 9 here and here.